Artis Senior Living of Lexington offers specialized memory care for individuals living with Alzheimer’s disease or a related dementia in Lexington, Massachusetts. Our unique neighborhood-centered community empowers residents to maintain their independence and interests without sacrificing the expert care your loved one needs to live life comfortably. We strive for excellence by partnering each of our residents and their families with our expertly trained associates to design a customized plan that best supports their changing needs. Residents living with Alzheimer’s disease or other forms of dementia at Artis Senior Living may participate in several activities in a space specifically designed to treat memory loss that keeps them connected to the world and honor them as people. Our community is organized in four neighborhoods to create a home-like atmosphere for our residents and provide them better access to individualized services. Each neighborhood features a family room, dining room, and private courtyard. We offer each of our residents a private studio with en suite bathroom. Although suites come furnished, we encourage our residents to embrace their individuality and decorate with their personal belongings. Our mission statement, “Positive Partnerships the Artis Way,” is the foundation for how we approach each resident’s care. 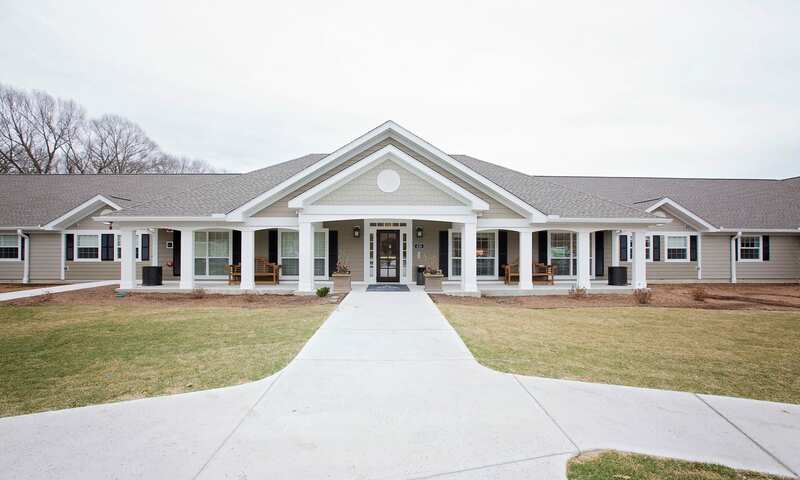 The care partners at Artis Senior Living of Lexington strive to provide residents with opportunities for positive growth and possibility and to explore their unique interests. We invite residents to be involved in their neighborhood by participating in exercise classes, community events, volunteer groups, and leadership communities. We would appreciate the opportunity to tell you more about our unique community in Lexington, MA. Call us today to schedule a personal tour.